(And "no" this post isn't following on from our recent one about loving your liver!). Instead of all this “gloom, doom and despondency” we suggested starting the year by focusing on all the small, simple and positive changes you can make every day. Which help you feel happier and healthier. The carrot rather than the stick. Once you’ve made one small change, it’s so much easier to make another. And then another. Before you know it, you’re on a roll. And that’s how real change happens. One small step at a time. So what are we going to suggest this year? Well something potentially more radical still. And it’s beautifully encompassed by a story we were reminded of recently. Sitting comfortably? Here we go. Once upon a time in a land far away a little pink elephant was born. He was so different from the rest of the herd that the grey elephants started to distance themselves from him and ignore him. The little pink elephant felt very sad and rejected. He soon realized that, in order to fit in with the rest of the herd, he had to be just like them. He covered himself with mud and dirt until he became a dirty grey. Day after day he did this, hiding himself under all the mud. Then, one day, the rain came pouring down and washed all the mud away from his body. He was pink again! The grey elephants turned round and started laughing at his pinkness. He was no longer like the rest of the herd. As he stood there the little pink elephant realised that he was trying to fit into a herd that would never understand or accept him. He knew that he was different and needed to find a group of pink elephants just like him, where he would be accepted and loved just as he was. While we may all smile as we read this story, we have much more in common with this little pink elephant than we would like to admit. Every person is unique and different – whether in small ways or larger ones. AND we are each incredibly powerful. Yet we spend so much time trying to fit in with those around us, family, friends and colleagues. But, in doing so, we lose touch with our real selves. Of the things that make us truly different to everyone else and powerful. So, this year, why not focus and nurture the things that make you different to everyone else? It doesn’t matter how big or small they are. Whether it’s that you make the best lemon meringue pie, quirkiest cards, are a great swimmer or sing beautifully; it really doesn’t matter. Whatever skill or ability you have there is ALWAYS someone – or lots of people (!) – who would love to share it with you. And you’d feel great in the process. Everyone benefits and the world becomes a brighter place. And, if you’d like another little incentive, remember that it’s the little pink elephants who become the great inventors and pioneers. Not those who are stuck in the crowd, doing the same things as everyone else. It takes a unique person to come up with completely new ideas – or new ways of doing things. And that’s you. So let’s make 2016 the year of possibilities. 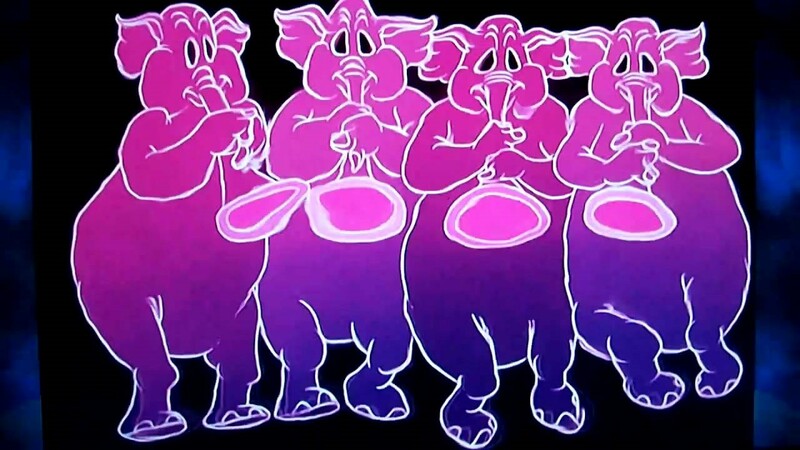 The year of the little pink elephants.